That Hillsong is an empire is unquestioned. It is estimated that the “church” rakes in over $100 million annually from its growing international and media (read: music) operations. 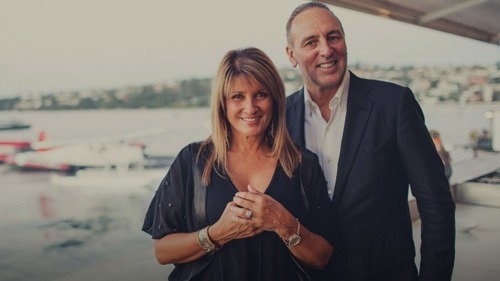 Called by the article “the reigning couple of Australian Pentecostalism,” Houston and wife Bobbie “pulled in tax-free revenues of nearly $80 million in Australia” in 2014. The three adult children of the couple are also among the upper leadership of the organization. The empire includes “church plants” on four continents in 15 countries with a radio and television outreach that stretches into 160 nations around the globe. That “narrow path” warned about in Scripture seems to have been surreptitiously widened for Hillsong and its ilk. The notion is that God is blessing Hillsong is as equally erroneous as its claim of transparency. That God is merely blessing the obedience of Houston is unfounded when casting a discerning eye at the theology upon which this empire is built. It is nothing short of a word of faith, prosperity gospel heresy, substantially driven by a finely tuned marketing campaign of contemporary “Christian” music blasted at undiscerning multitudes via Hillsong Music. For those of us in America, accustomed as we are to expecting the typical prosperity gospel heretic to be bedecked in the accoutrements of gaudy wardrobes and bouffant hairstyles, slathered heavily with thick lashed makeup and insincere glimmering grins, the Hillsong Houston duo betray this stereotype. Instead, burnished as they are from the Australian outback, they exude a style that is decidedly more hip, chic, and appealing to the very demographic – the elusive millennial crowd – being targeted by their marketing machine of faith. Their appealing features are a suave and disarming attraction for many who do not understand their foul false teaching is a mainstay of an enemy who, we’re told, may appear as an angel of light. Things are not always as they appear. It requires a Berean approach, consistently applied, to verify right from almost right. With Hillsong, the enemy has morphed away from the flash and sizzle of gaudy decorum stylized by likes of Jim and Tammy Faye, or Paul and Jan, and into the more favorably amiable and highly contextualized couple from down under. Brian and Bobbie are the face of the new prosperity gospel. Though the enemy has changed his wardrobe, his beguiling message of deceit remains the same. Times change. Styles change. Deception remains the same. Umm, friends, this ain’t the Sermon on the Mount! Live Love Lead is replete with pithy platitudes and spiritualized notions pregnant with prosperity gospel promises. While, theologically-speaking, nothing happens by the falsely spewed, though rampantly-prevalent notion of “inviting Jesus into my heart,” Houston writes that “I was five years old when I made the decision to accept Jesus as my Lord and Savior.” He does not, though, actually proclaim anything remotely close to the Biblical Gospel. He explains nothing of repentance for himself, or the Biblical call for its necessity for others. The book is incredibly void of the fundamental calls of the New Testament to “repent and believe.” The notion of sin is referenced in a clearly more anthropomorphic manner. Of sin, Houston writes, “if you fall short of the glory of God, it means that sin makes you smaller. It diminishes you – your potential, your relationship with God, and your confidence.” Even the casual reader of Scripture ought easily recognize the “other gospel-ness” of this false assertion – sin means death, a physical death -barring Christ’s return – that will lead, outside of Christ, to certain and sure eternal, spiritual death. It is not merely a hiccup in my grace zone; it is a terminal condition that will bring righteous wrath and judgment. The problem with Hillsong isn’t merely naked cowboys on stage, doctrinally dangerous song lyrics, the obvious false behaviors blossomed forth by lack of a Scripturally-centered theology, or the apparently nepotistic global empire that it has become. Those are expected symptoms of the fundamental problem. The problem with Hillsong is Houston. He and the cadre of compatriots with whom he’s spanned the globe spouting the false prosperity gospel are deceiving tens of thousands who attend their worship “experiences” every week (estimated at over 90,000 on any Sunday), and countless more through their intensive media presence. Coupled with the “worship is about me” tunes pumped out by the musical arm of the “ministry,” Hillsong is a formidable counterfeit. But it is a counterfeit. But it is a counterfeit. The astute student of Scripture will see through the slick, appealing surfaces of Hillsong and recognize easily the subversion of Truth it proclaims. True believers should boldly stand against supporting this behemoth of Baal; turn off their tunes; demand the revenue from songs that feed that beast be deleted from playlists in your church; and disciple those on Hillsong’s wide path by taking them to the Word and sharing the authentic Truth. The Truth is there, in the Word, and it’s not burnished by a glowing sun down under; instead it is the very Light of the World Himself.